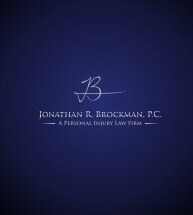 At the law firm of Jonathan R. Brockman, P.C., our experienced attorneys serve clients across Carroll County and the entire West Georgia area who suffered an injury or loss caused by someone else's negligence or wrongdoing. All of our attorneys began their careers as insurance defense lawyers which provide them a unique insight into the tactics insurance providers use to reduce or deny claims. Armed with this knowledge, they can devise the most effective strategies possible to help recover the damages our clients sustained due to the negligent, careless or reckless acts of others. Cynthia Matthews Daley, Managing Attorney for the Carrollton office, along with our other experienced attorneys, can handle the demands of any client's case regardless of the complexities or challenges involved. To find out more about how Jonathan R. Brockman, P.C., can help you and your family in your time of need, you can contact our law firm to schedule a free initial consultation.